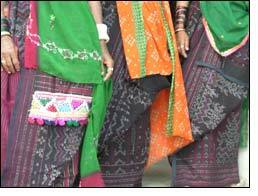 Tangaliya work is one of the famous handicrafts in Gujarat. Tangaliya Shawls are one such art that makes the state best among all other travel destinations of India. Tangaliya is originated form Dedadra village, Surendranagar by Dangasia community. It is an old and authentic shawl weaving process which has got GI licence in recent times. This certainly makes the work more fine and famous. 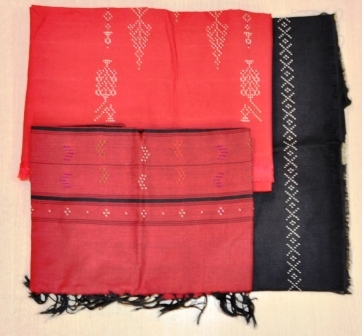 These types of shawls are made at homes in pit looms. There are vivid colours’ threads used in this weaving. Contrast coloured threads are knotted and woven to make a raised dot design on the textile. The speciality of these shawls is these dot designs. But the weavers do not restrict the designs to dots, they weave other geometric designs and shapes around those raised dot designs. They use vivacious and vibrant colours while making such shawls. Though the art has been originated from a small village but today it becomes a main reason to visit Suredranagar, one of the famous travel spots in Gujarat. The authority of NIFT, Gandhinagar has created the Tangaliya Handicraft Association to promote their work. Also the work has received the Geographical Indication which encourages the work and craftsmen more than before. It has been believed by the local people of Dangasia community that a boy had fallen in love with a tangaliya weaver’s daughter a long time back. The boy, who was a shepherd, was thrown out of the family for his decision of getting married. He started to live with the girl’s family and learnt the Tangaliya work. As he was a shepherd he used to use wools in Tangaliya work. 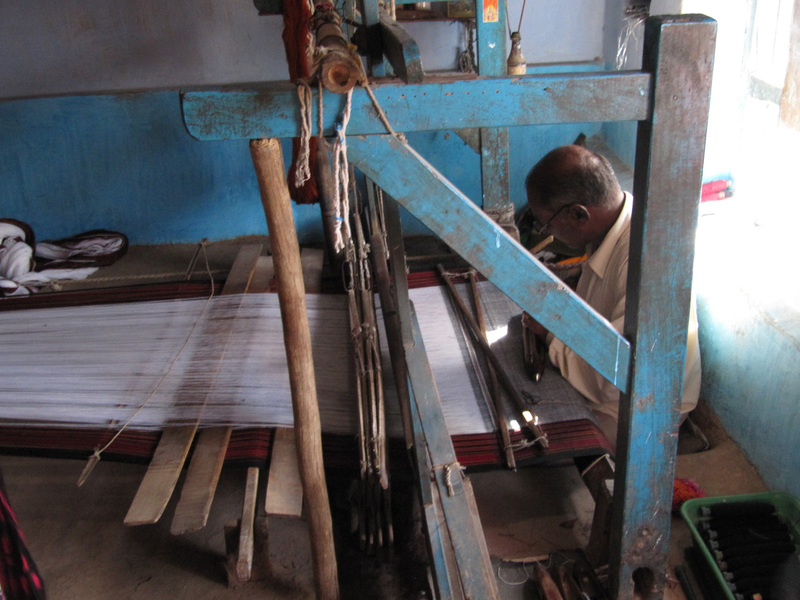 From then the Tangaliya Shawl weaving has started in Gujarat. Suredranagar, among all other travel locations in Gujarat, has become a prominent place to visit. It is also said that Dangasia community never teach this Tangaliya work to their daughters as they believe that daughters will carry the art to other comminities when they will get married. So only the boys get a chance to learn the technique of Tangaliya work. As said that the work is immensely popular in the state of Gujarat, the Tangaliya work has received a GI recognition which helps the community to grow more and to be recognised by the people from other parts of the nation. With the help of Tangaliya Handicraft Association, the weavers have broadened their creation, as they weave not only on shawls but on cotton, silk and other fabrics.